How big is your house? If you’re like most other Americans, it’s probably around 2,600 square feet — the average size of a house according to the 2014 Census. But growing ever-more popular is the tiny house movement — essentially when people decide, for any number of reasons ranging from financial to environmental choose to drastically downsize their living space. According to The Tiny Life, a site for those “seeking information on tiny living, which encompasses simple living, tiny houses, and environmentally responsible lifestyles,” the typical small or tiny house is between 100 and 400 square feet. Which all sounds good and well — but can the average person really live in such a tiny space? 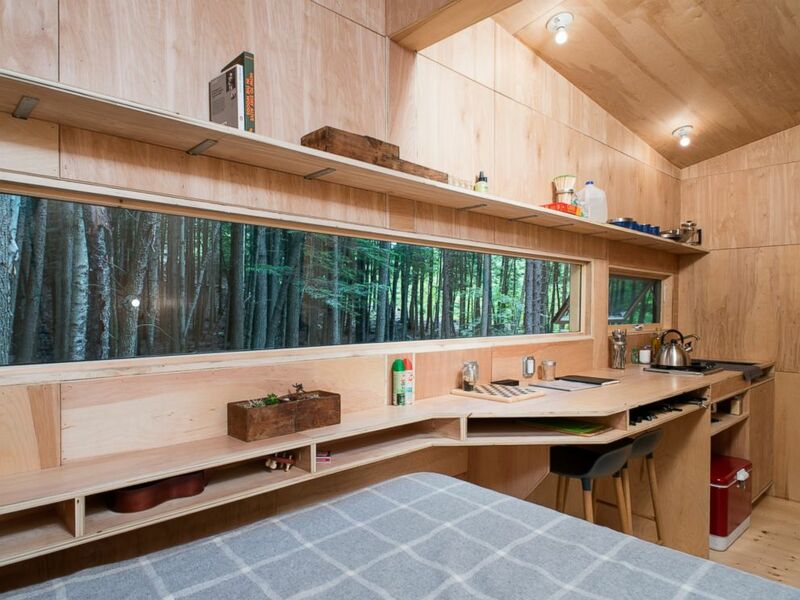 Getaway, a project born out of Harvard’s Millennial Housing Lab with the mission of growing the tiny house movement, has built three tiny houses — just 160 square feet each — in the woods of southern New Hampshire, about two hours from Boston. The idea, its founders Pete Davis and Jon Staff, of Harvard Law and Harvard Business Schools, respectively, is to “build tiny houses, place them on beautiful rural land and rent them by the night to city folks looking to escape the digital grind and test-drive tiny house living.” The houses take about four weeks to build. The houses cost an average of $99 per night to rent. The first — called Ovida launched in July and was followed quickly by the Lorraine in August and the most recent, the Clara, which debuted in October. They’re designed to be “Instagram worthy,” though each caters to a different client: Ovida, to families; the Lorraine, as a writer’s retreat; and the Clara, to groups. The house’s exact location isn’t revealed until the reservation date draws near, though it’s guaranteed to be within two hours of the city. Plans for expansion to New York, San Francisco and Los Angeles are underway.